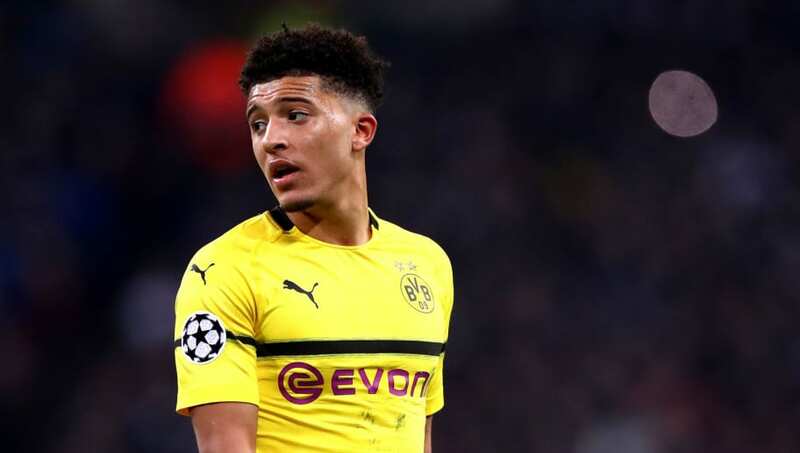 ​Former Arsenal manager Arsene Wenger has spoken of his admiration for Borussia Dortmund sensation Jadon Sancho, claiming that he tried to bring the winger to the Emirates while he was at Manchester City. Since swapping the Premier League for the Bundesliga in favour of first-team football in 2017, the 18-year-old has exploded onto the scene, emerging as one of the best young talents in world football with eight goals and 13 assists in 29 appearances for the league leaders. It seems, though, as if it could have been a very different story had Wenger got his way when he spotted his talent while struggling for first-team action in Manchester. "I wanted to take him from ​Man City when he didn't get the games," he told beIN Sports, via ​Sky. "I tried to lure him because he's from London. I tried to get him to ​Arsenal. He's one of the best players of his generation. He can dribble, he has the arrogance. "There's something in there that is part of the big players. You can call it arrogance, confidence, belief; but it has to be there." The 18-year-old's first return to London since leaving for Dortmund didn't exactly go to plan on Wednesday evening, as they were humbled​ at the h​ands of Arsenal's great rivals Tottenham at Wembley.